My recent breakup was the most painful experience of my life. More painful maybe than it should have been, as it came at a time when a lot of things weren’t going as I hoped they would. As I approached my thirtieth birthday, I found myself back living at home with my parents and at a crossroads in my career. I was suffering from anxiety and felt as though my life had little purpose. Things just weren’t supposed to be this way. This was not part of the plan. I knew that I needed to make some serious changes, but I was overwhelmed by the sheer size of the task in my hands. It wasn’t just my heart that had smashed. It was as though my life was a jigsaw that had just been broken into a million pieces. And I had to recreate the picture. So I started as you do with a jigsaw. I slowly picked up the pieces, one by one, and tried my best to slot them together. It wasn’t an easy task. Sometimes I couldn’t find the piece that I was looking for. Often, it seemed like the small sections I had completed would never properly fit together. There were many times I got frustrated and felt like abandoning the project all together. Yet somewhere along the way the picture started to take shape. I focused on my mental health and explored mindfulness. I devoted time to new hobbies and joined a sports club. I revisited my childhood passion for writing. I spent quality time with old friends and enjoyed getting to know new ones. I got a puppy. Bit by bit, I picked up the pieces and worked hard to create something new. After a while I could start to recognize some serious progress. I was still a long way off finishing the jigsaw, but it was getting easier to work on it. I was feeling much stronger, feeling a new sense of hope that one day I would get there. I had caught a glimpse of what the picture could become. Yet despite my best efforts, the holes in the picture haunted me. I was acutely aware of the parts that were missing. Months had passed, and some of the main pieces still evaded me, the ones that I saw as being crucial to my picture. It weighed on me greatly. Without these pieces, I felt that the jigsaw could never really make sense. Instead of concentrating on the pieces I had, I spent a lot of my time searching for these middle pieces. The others just didn’t hold as much value. At least, that’s how I chose to view it. Then one day, I cast my thoughts back to the start of my jigsaw journey. I remembered how utterly lost and frightened I had felt at that time. How overwhelming the whole process ahead seemed. And I realized just how much of the picture had appeared without me really noticing it. I considered how inconceivable this progress had seemed at the start, how proud I should be that I had managed to get this far. But once again, the missing pieces came into focus. On a night out with friends, talk naturally revolved around our jigsaws. I was already acutely aware that theirs were at a more advanced stage to mine. Engagements, mortgages, weddings, children. I observed, sadly, how many of their milestone pieces were already secure. An acute reminder that I still had so many to find. I wondered if I would ever find them or if my jigsaw would just remain incomplete forever. Still a jigsaw of sorts, but not as it should look. I was happy for my friends’ success. I just worried that I seemed to be so far behind. But then, as the conversation continued, I made another observation. It seemed as though there were parts of their jigsaws that were also still incomplete. These may have been the outer parts, the ones not quite at the center, but they were parts of the jigsaw nonetheless—parts that I, myself, had managed to obtain but perhaps had taken for granted. Through hard work and determination, I had successfully made the career transition that had once seemed impossible. My lowest points had strengthened my relationships and showed me that I had people who I could really count on. My period of reflection had taught me a lot about myself and what I wanted from life. I had developed my own interests as an individual and become more independent. I acknowledged that these were also a significant part of the picture, and that a jigsaw had many different pieces and everyone still had work to do. I realized that while I was busy concentrating on my missing pieces, I had neglected to appreciate the value of these other ones. While I was busy feeling ashamed of its hollow middle, others may just have been noticing how my corners were taking shape. To me, my jigsaw didn’t look as I wanted it to, but that didn’t mean that it looked the same to everyone else. And it didn’t make my success any less admirable. Viewed with a less critical eye, they would see a jigsaw that was slowly but surely taking shape, albeit a little slower than their own. A jigsaw at a different stage but with lots of potential. If I shifted my perspective, I might just notice how all the pieces were starting to connect. 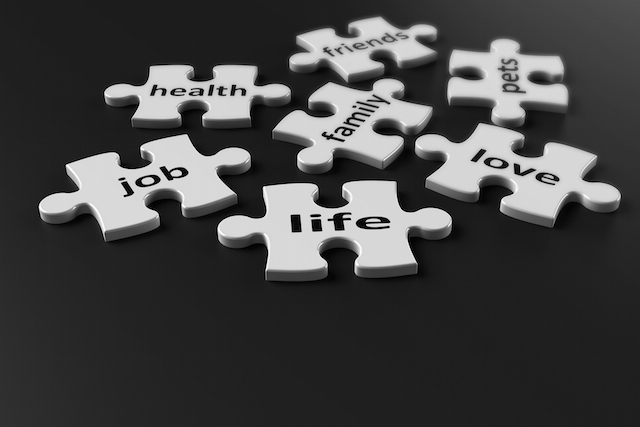 We are all completing a jigsaw of our lives at any given moment. Some of us are further ahead; some of us are a little bit behind. Sometimes a tremor comes along that will damage a piece of the picture, or may even dismantle it completely. In that case we must start to rebuild it again, maybe even from scratch. Sometimes we may never find a missing piece and the jigsaw must be appreciated without it. To destroy the whole jigsaw because of one missing piece would be to sacrifice a lifetime’s effort. The important thing is that, as we work side by side to do this, we must not let each other’s “success” deter our own progress. We have all been given slightly different jigsaws, some appear easy, some harder, but they will all have their unique challenges. And in the end, each one creates a beautiful picture. A result that is completely unique. How someone else constructs their jigsaw will not be the same as your approach. Some people dive straight in and fill in the middle, but then can find it a bit more difficult to fill out the edges. Some like to sort out all the pieces carefully before they even start. Some will have help completing their jigsaw, but that just makes it more of an achievement for those who manage to complete it alone. Your jigsaw is your masterpiece. It does not have to look like anybody else’s, nor does it have to be completed in the same way. Approach it your own way, and be sure to credit yourself for each part that takes shape. You can glance at others’ jigsaws now and again, but don’t let this put you off yours. No one knows what life holds in store for us, so comparison is a futile exercise. Support others and celebrate their progress, trusting in your heart that they will do the same for you as you move forward. Your time will come. You may even inspire others along the way. Try not to worry about how the picture will turn out, but enjoy the process and the excitement of seeing it revealed. You may think that you know what the picture will be like, only for it to turn out completely different. But either way, at the end, you will look back and see that they were all made perfectly. That your final picture is beautiful and as it was always meant to be. As it stands my jigsaw is still incomplete, but I am choosing to view the process differently. I am consistently working on the smaller pieces and these are bringing me much greater satisfaction. They are starting to give the whole picture a lot more meaning now that I’m not fixated on the gap in the middle. I now have much more appreciation for the value of these pieces. I know that I will look back one day and see that these were a lot more vital than I initially thought. I am also choosing to trust that the bigger pieces are on their way. I look forward to the days when they will slot easily into their rightful place, surrounded by a sturdy framework. With hindsight I can see that first jigsaw just wasn’t working out for me. Although painful at the time, the shake-up was necessary. There were pieces that were never going to fit, no matter how much I wanted them to. I like to believe that there is a reason why my jigsaw needed to be reconstructed in this way. For now, though, I have decided to be present and just enjoy the process. Because the reality is that we only get one jigsaw, and I want to make the most of the one I’ve got. I have a feeling that it’s shaping up to be a good one. Síofra Ann is a teacher and an online content creator. She blogs at www.sheisme.ie. Her gaelic name means ‘queen of the fairies’ which may explain her love for the mystical. Health and wellbeing is her passion. Connecting with others is her greatest motivation for writing. She will forever be inspired by the life changing potential of the written word. 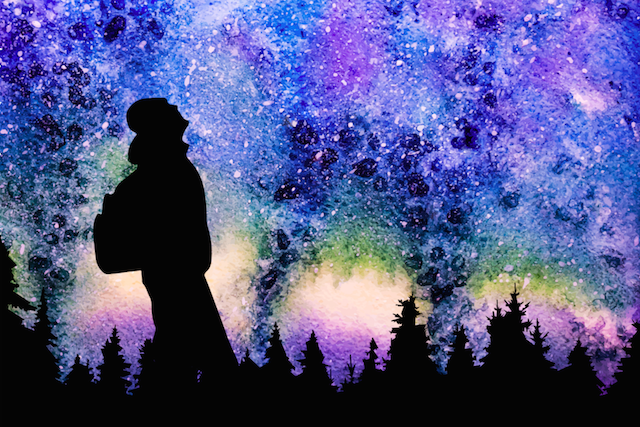 The post Why We Don’t Need to Worry About What’s Missing in Our Lives appeared first on Tiny Buddha.